Inspired by ancient and ancestral healing practices, our passion for plant medicine has flourished - introducing us to the sacred balance of therapy, health, liberation, & indulgence. The beautiful balance of embodying these powerful paradigms allow us to find deeper connection with ourselves while maintaining a contemporary lifestyle in the modern world. 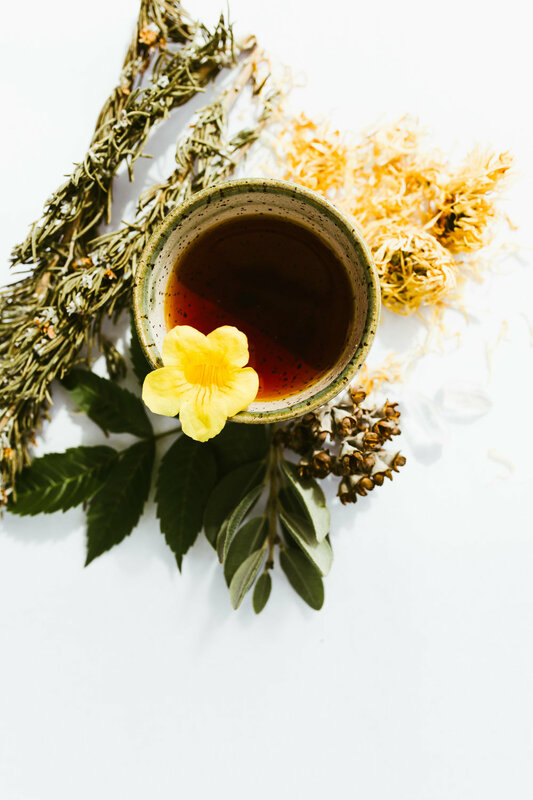 Herb + Nectar began as a conscious, small-batch apothecary + pop-up tea bar that specializes in reiki-infused organic teas, seasonal offerings, herbalism, and apothecary goods. We believe in an even energy exchange - our goal is to give back to the Earth as much as we take through composting, offering, and returning nutrients to the soil. We aimed to share our hand-crafted tea blends, as well as the symbiotic relationship within that generates a radiant tea experience with every cup. Today, our mission is to offer a beautiful array of holistic wellness experiences including sacred ceremony, women’s gatherings + retreats, herbalism workshops and education, yoga, sound healing, and reiki energy work. We are honored to bring you offerings of experiential wellness in San Diego, California and beyond. We continue to offer beautifully blended plant-medicine inspired teas to retailers, practitioners, and more. Inspired by ancient and ancestral healing practices, our passion for wellness has flourished - introducing us to the sacred balance of therapy, health, liberation, & indulgence. The beautiful balance of embodying these powerful paradigms allow us to find deeper connection with ourselves while maintaining a contemporary lifestyle in the modern world. We are both certified Usui Reiki Masters, and we infuse every product, event, and experience with the love and nurture of this powerful life force energy. In the world today, it is so easy to let go of instinct, and so hard to recognize the disconnect with our Earth. Through wellness, we replenish the body, nurture the soul, and stimulate the mind. Whether we meet through a pop-up or experience wellness together during a retreat, we would be honored to share with you.